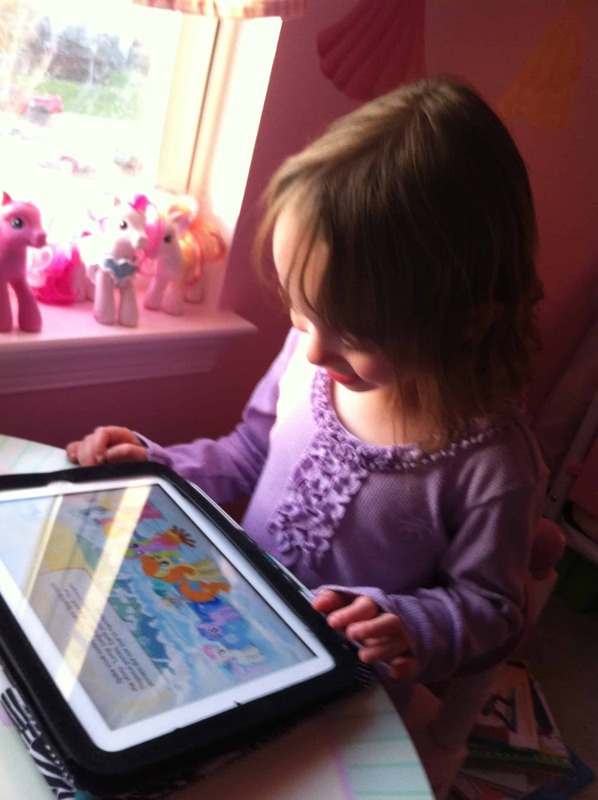 I was so excited to win the My Little Pony Twilight Sparkle: Teacher for a Day app from @RuckusMedia. My daughter loves playing with the ponies and I was a huge fan when I was little. Just like any other app I download for my kids I checked it out first. I didn’t think there would be anything bad, I do this so if she asks me how to do something I don’t say “ummm, umm hmmm…..” She still believes I know everything so I want to keep it like that! I really liked it, the colors were bright and fun, the story was a sweet one. The games were great for strategy and observation skills. I loved the options to have it read to you, read yourself, or read and record your voice. I was going to write this review up after that but I thought who cares what I think? I’m not the target audience for this app, so what does it matter if I say things like “visually perfect, outstanding, I give it 5 stars!” I mean I feel that way yes but what does it matter if I love it and my kid doesn’t. So I decided to write down everything my daughter said about it while playing it for the first time. I asked her, do you like the colors? Which game was your favorite? Bottom Line: Great story about helping friends, cute pictures, fun games, and we will definitely play it again!